We have with us a wide assortment of Copper Wire Scraps that are largely used in numerous industrial applications. Our Insulated Copper Wire Scrap consists of No. 1 bare, uncoated, unalloyed copper wire that is not smaller than No. 16 B & S wire gauge. They are of highest grade and highly pure. 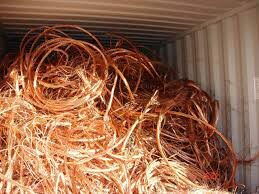 We are a well-established Copper Wire Scrap Exporter and Supplier from Thailand. We make them available in various sizes and specifications. Additionally, we provide samples of our product for that complete customer satisfaction. Contact us to know more.